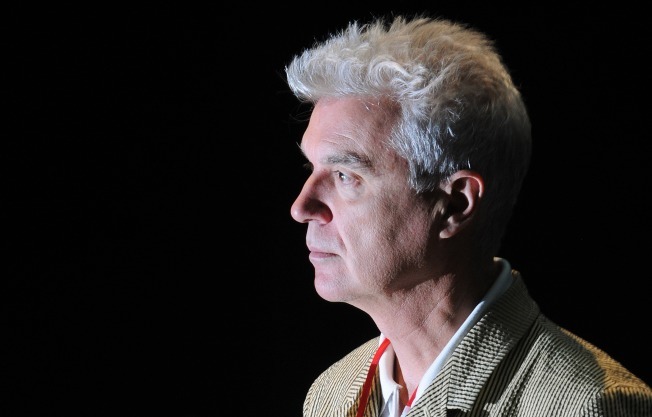 Musician, writer and artist David Byrne has a thing for San Francisco. Bill O'Reilly might have a thing or two to say about David Byrne's assertion of San Francisco as a perfect city but the singer of Talking Heads fame loves the city by the bay. The well traveled singer penned an article in the Wall Street Journal this week yearning to live in a perfect city. Byrne, who uses a bicycle to travel around his native New York City, says the perfect city is big but not too big, has sufficient density (sorry LA), its residents have sensibility and attitude, is safe and devoid of chaos, has plenty of mixed use real estate and public spaces. What city fits his idealized criterion? None of course but the rocker wonders why he doesn't end his search and call San Francisco home. SFist properly questions whether San Francisco is a village or better described as a continuation of high school clique syndrome. Below Byrne talks about developing biker friendly cities with the Wall Street Journal.